The tile installation process begins with the structure underneath the tiling area. Whether walls or floors, the structural integrity must be solid. We first make sure the foundation is sound: for example, we strip the old flooring back to the subfloor. If this is not solid, we may have to replace it, possibly even repair joists or beams underneath. Once the wall or subfloor is level and solid, we add the substrate. Some situations require this waterproof board to be attached with cement mortar and then screwed down; in others, we simply screw it to the subfloor or wall board underneath. Next, we mud and tape the seams of the substrate material. 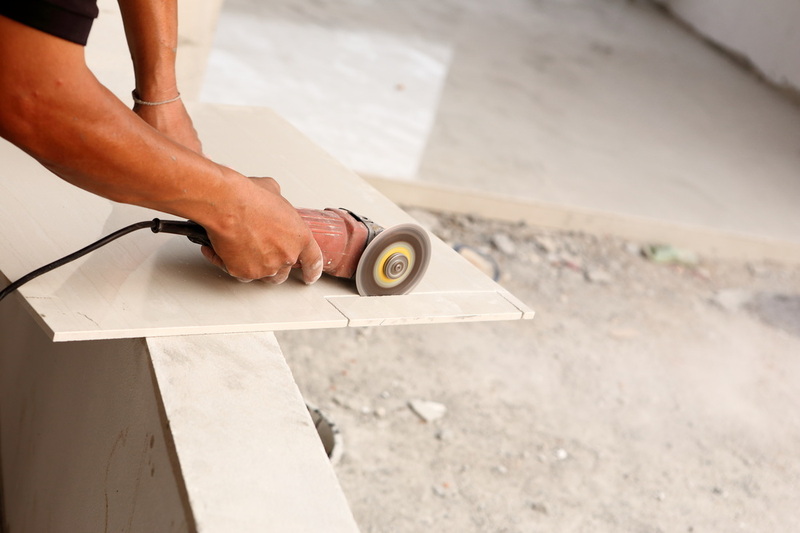 Without this critically important step, cracking of the tile can result over time. Once all this is completed, the foundation is ready for the tile installation. Tile that’s been outside needs to acclimate to the interior temperature for several hours, otherwise, adhesion issues may arise. We lay out the tile; corners and edges are considered and planned. Next, we mix the thinset, trowel it on and apply each tile with a pushing and twisting motion. Spacers are used to ensure a uniform gap between tiles. We cut and fit any odd corners and joints. It is important to not have any foot traffic on the tile for several hours, usually overnight, while the tile “sets”. Removing the spacers and cleaning out the joints is the next step. Finally, we mix up the grout and apply it, pushing it into the joint, then skimming off the excess. After about ten minutes, we sponge and wipe with clean water. After the tile has “hazed over”, we wash the tile with clean water and sponges again, and the grouting is complete. Several days later, usually a about a week, we apply sealer to the grout, to make a watertight seal. At this point, the tiling process is complete.